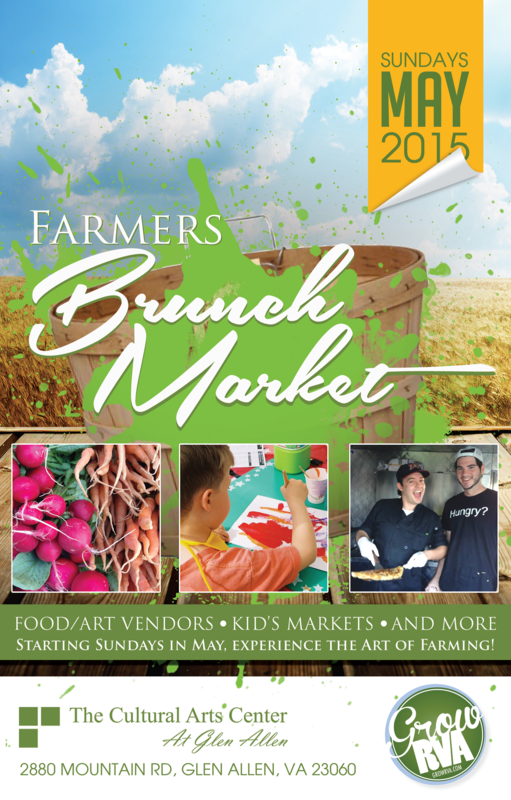 Coming in May: a Sunday Brunch Farmers Market! We’re extremely excited to share this news … Starting in May 2015, we are teaming up with The Cultural Arts Center at Glen Allen to bring you a Sunday Brunch Farmers Market! More details and a list of vendors is coming in early Spring.